AMA has a large network of readers, subscribers, Facebook friends, Linked in connections and many other social media links. We make our platform available to anyone wishing to communicate with African communities regularly or simply for a one off event or project. By becoming a member, you can promote your event, work, projet and reach out to thousands of African individuals, leaders, organisations from around Australia. The cost for AMA membership is very minimal, only $50 per year for individual and $150 for business. This exceptional offer is only available for a limited time and is subject to eligibility (some individuals and large businesses may not be eligible). Read the details below and then use form at the bottom of the page to sign up or contact us over the phone +61-(0)437724469, should you require more information before joining. Access to AMA’s large email database and audiences. We reach approximately 100,000 people per month and we guarantee that anything you publish with us will reach approximatley 10,000 people. 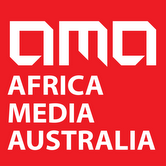 Access to AMA’s knowledge and expertise on Australia and Africa. Our network of leaders, professionals and individuals can help you with guidance on projects, business, family and community issues. Just ask us. Access to AMA’s connections in Africa for business, charitable work and other areas. Getting your announcements made through AMA for important information you want to communicate to the public. helping you to find resourceful people to work with for the implementation of projects or for other community engagement purposes (we know our communities). Assistance with the design, drafting, publication and dissemination of newsletters and other communication material to help your organisation’s branding and marketing objectives. Overseas members (outside of Australia): $50 per year. Please note that additional fee may apply for certain types of requests made to AMA (depending on the nature and complexity of what is being requested). Please fill the form below and when you click submit, you will be redirected to PayPal to make a payment and we will contact you as soon as we receive your email and payment confirmation. IF YOU ARE NOT REDIRECTED TO PAYPAL after filling the form, just click on the PAYPAL button on the top right corner of this website and you can make the payment by following the prompt. You can contact AMA on 0437724469 if you need any more information.